Rose Wierzba is graduating with a Master’s Degree in Counseling on Saturday. She is a non-traditional student, mother of three college age kids, a successful nurse, who has finished up a bachelor’s degree and a Master’s Degree in the last three years, also while working part-time. On top of that, she drove two hours each way to class, and has spend more time on the road than in the classroom at times. A real trooper. Determined. Persistent. Rose and I are wired the same way. We do our work first, then rest. We are ESFJ’s – being providers of those whom we are responsible for, whether that be children, clients, etc. Rose has a gift of working with the elderly, and has taken care of elderly neighbors when someone needed to intervene for their health. She has gone through difficult trials in her life relating to other’s needs, but she has always done what is best for the other person, even when it hurts. She doesn’t give up, and she is strong when strength is needed. If you were in the hospital or have mental health needs, you would want Rose for your caregiver. She would not leave any detail overlooked, and she would tell you straight up what her concerns are. She’s not a mincer for words, but she is gentle, caring, and genuine. You can trust Rose with anything. She will look out for your best, and she’s got your back. “Don’t worry what other people think.” Rose is my most honest source of genuine feedback. She encourages me when it’s appropriate but says, “Wait a minute” when I may want to reconsider something. She is a confidence builder, because I know what she says is accurate. She doesn’t embellish or have ego issues. “It is what it is.” If you can’t change it, then accept it, and move on. If you can change it and it’s worth the fuss, then take the proper procedures to do so. Use humor to lighten the load. Without the humor, we would not have survived some of the events of the last two years. Buy a great pair of glasses to make you look like you know something. She has great pink ones, and she got the idea from our hero, Dr. Tom. 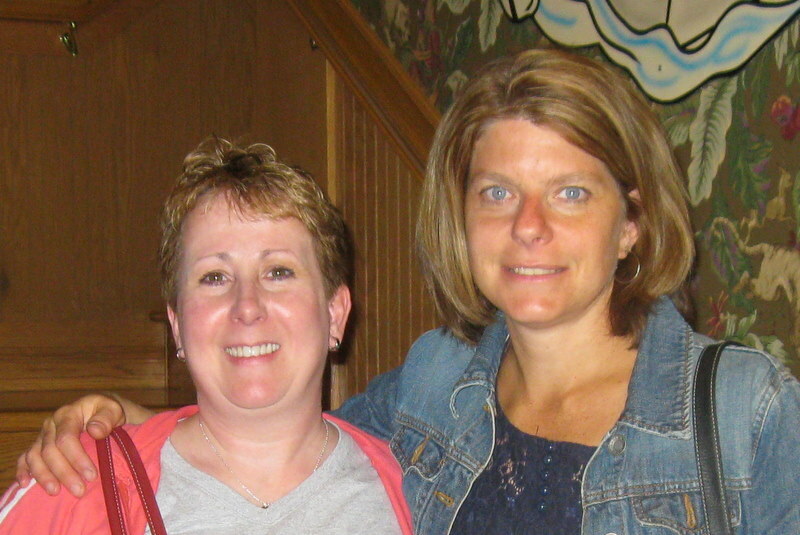 Rose, you are a Woman of Influence, and I am blessed to be called, your friend, Mrs. Yoder. Another dear friend of mine graduated with her GED today. Her name is Helen, and I am so proud of her. Helen grew up Amish, only obtaining an 8th grade education, which is part of the Amish faith. She married Marlin, who was also raised Amish, but both are now “English. “They have two children, Lawton and Kayla. Helen is one of the most real, genuine, and talented women I know. She is creative, a hard-worker, not afraid to try new things, and loves her husband in the sweetest way. She serves others, surprising people with baked goods and a smile to brighten their day. She can bake 45 loaves of bread in one day, can butcher a beef and serve you tea with a smile. She will try things outside her comfort zone, even though she may be scared. She is honest. So honest, she will make you laugh because she has the courage to say what she thinks, when others are afraid to. She gets up to pack her husband his lunch at 3:00 in the morning before he leaves for work. She respects her husband and he adores her. It’s the whole submission/love thing in action. It’s winsome. There are people in the world you can count on. She won’t gossip behind your back or put on pretenses. She will help with dirty work because she knows you need help. She will listen to you, no matter what. No judgment. She knows your character, and that’s what she has faith in. Be yourself. We have been learning this together, she and I. Helen and I can laugh like schoolyard friends at a slumber party. She knows just about everything about me. And she still likes me. She’s a keeper. Love your husband, and work to keep the romance alive. She’s the best at this. She has such freedom in loving her husband. Friends compliment each other. We are not two peas in a pod, more like Jack and Jill. We can work together and feel comfortable. That’s a rare thing to have someone you feel completely relaxed with, and I am blessed to have Helen as one of those friends I can rest with. She’s really my sister, I say, we just have different mothers. Helen is gifted with creativity, domesticity, children, and now as a high school graduate at thirty-something, the sky is the limit for her. She worked long, hard hours to obtain her GED, all the while raising a family, serving the church, and working part-time in a preschool. She is an inspiration to any woman who thinks “I’m too old to go back to school.” What a blessing it was to see her in her cap and gown. A testimony to her hard work ethic and openness to new things. I’m proud to call Helen my friend and sister. When I am stressed out, my kids have been known to say, “you need to get away with Helen.” What a blessing. She must have a good influence on me. She can always make me laugh, and I can always feel free to cry with her. Or be mad. Or sad. She is a friend. Plain and simple. This week, I want to honor my friends, the Graduates, and Women of Influence, Rose and Helen. May those who know you, honor you, and those who read this be blessed by your influence. Bravo, bravo!! !What inspirations you all are. Double thumbs up from this reader! Rose is just plain awesome and I'm so excited that her hard work and dedication has paid off. 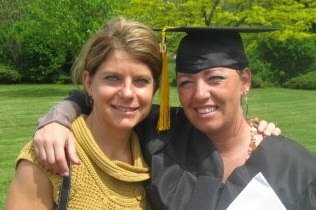 I will be hootin' n hollerin' from the stands on Saturday morning as she recieves her degree. I'm so thankful for Rose's friendship over the past two years. We've had some awesome talks and laughs, and even had our fair share of slumber parties! Rose and I have many, many book ideas and I can't wait to start working on them. 😉 Love you Rose! Sarah L.